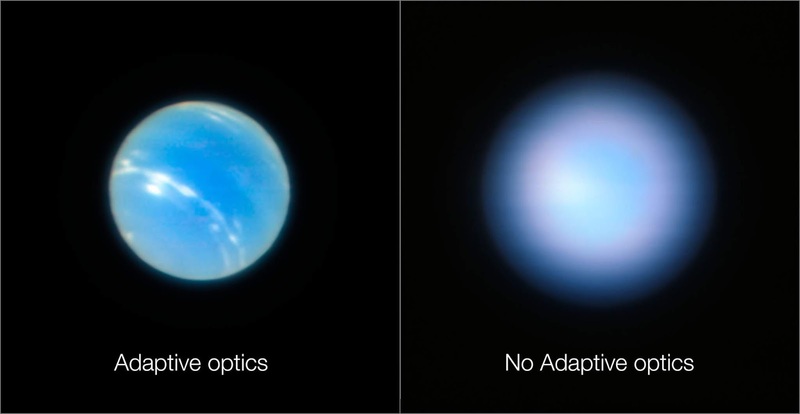 The European Southern Observatory has adopted a new technology called adaptive optics to sharply improve its telescopes' views of space. This technology helps eliminate the blurring or twinkling of celestial objects caused by turbulence in Earth's atmosphere. This turbulence is the primary reason why high mountains or outer space have always been considered the ideal locations of telescopes. 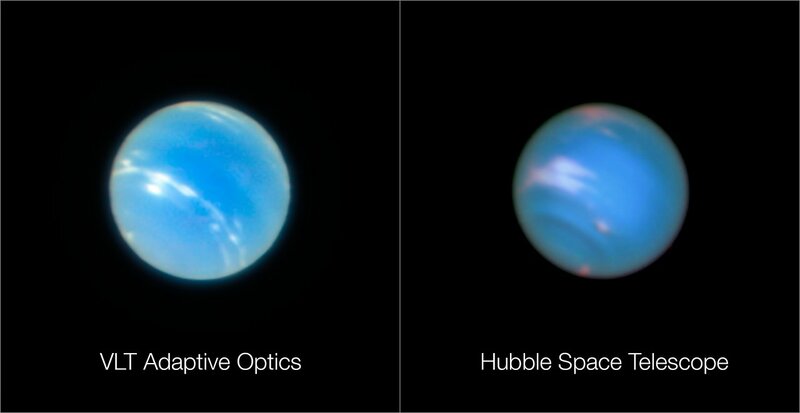 Releasing an image of the planet Neptune, this photo is evidence of the new, adaptive-optics module installed on the ESO's Very Large Telescope. To compensate for interference from the atmosphere, the system tracks a specific star to analyze how its light is affected by the atmosphere. Afterwards, the viewing system reverses the blurring effect, producing images of objects comparable to photos captured by the Hubble Space Telescope. To be not limited to observing objects near stars that can be used for this compensation process, the system uses lasers to create its own so-called 'stars'. These guide stars on the Very Large Telescope's new system rely on four lasers, with each laser signalling to the telescope's bendable mirror to recalibrate to properly negate the turbulence. This process is repeated about 1,000 times per second. "This new mode also constitutes a major step forward for the ESO’s Extremely Large Telescope, which will need Laser Tomography to reach its science goals," said ESO scientists in an official statement. "These results on UT4 with the AOF will help to bring ELT’s engineers and scientists closer to implementing similar adaptive optics technology on the 39-metre giant."